Batcave Toy Room - Better Living Through Toy Collecting: Should Star Wars Characters Sing Christmas Songs? 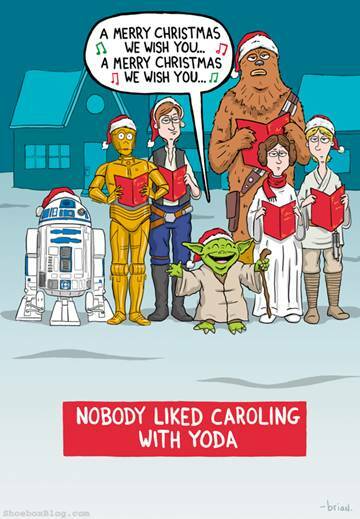 Should Star Wars Characters Sing Christmas Songs? If you think Yoda singing Christmas Carole's is bad, listen to Princess Leia sing the Wookie Life Song.